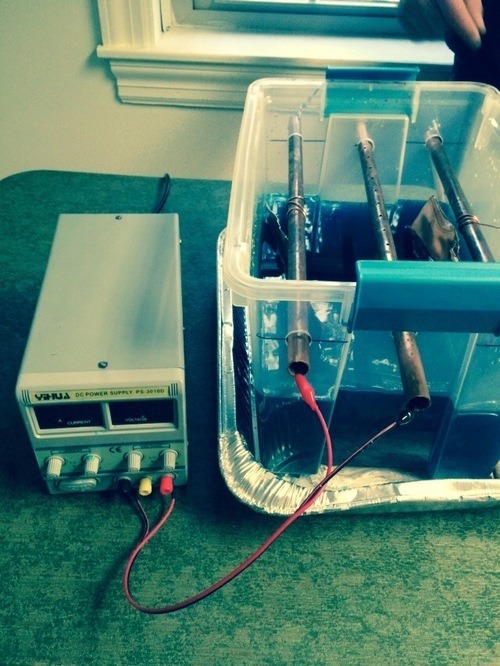 A couple Sundays ago, Simon Hammermesch brought his DIY setup for coating objects in copper. Not only did he teach us what the process was, we were able to coat our own objects as well. The setup itself is pretty simple. What it does is pretty amazing! Copper wire hung down into a copper bath. Because of the copper in the water, the bath takes on a dark blue color. 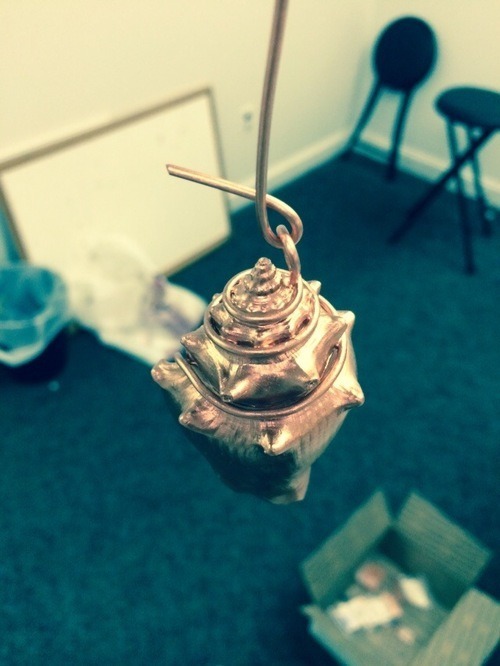 We coated our objects in conductive copper paint and hung from the wires, dipped into the bath. Scrap copper is also placed in the bath.An electric charge is then sent through the copper bath. When you charge the setup, copper molecules flow from the bath, onto your object where it was painted. Additional copper molecules are pulled from the scrap copper and absorbed into the water. This way the copper bath can continue to be used. We experimented with fossils, shells, glass, 3D printed items, and natural objects. After a week in the bath, we pulled them out and they were all covered in beautiful copper. A quick polish to put a shine on them and they are ready for presentation. You can see some examples in our gallery at 105 W. 9th Street.